Selenium is an essential trace mineral humans must obtain from their diet. are also called selenoproteins) . optic nerve in open angle glaucoma ." closure glaucoma ." The same can be said of other forms of glaucoma. 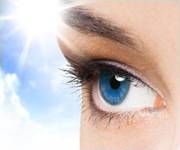 glutathione levels were decreased at the earliest stages of glaucoma . reduced and total glutathione than did matched control subjects ." Glutathione is one of the most important antioxidants in the human body. detoxifier and maestro of the immune system ." heart attack, stroke, and diabetes) ." And *glaucoma*. peroxidase are a system -- an antioxidant system. antioxidants" in the human body. glutathione disables to damaging oxidant (ROS). that something glaucoma patients need more of would be detrimental to them. for this resolution is an understanding of the methylation cycle. listed above. It's almost ubiquitous. The name "one-carbon metabolism"
molecule, that is a methylation reaction. - and lots of other important substances for the body. leading some glaucoma specialists to recommend them as supplements. for nerves). But that subject is outside the scope of this paper. but that have so far not been characterized by researchers in this field. exercise in connecting the dots. it leads to deeper investigation of one-carbon metabolism in glaucoma. "interaction") in the methylation cycle ("one-carbon metabolism"). nutrients have different effects on one-carbon metabolism ." understanding the selenium paradox in glaucoma. moieties"  as part of the methylation cycle. purines and methyl groups for the synthesis of S-adenosylmethionine (SAM). an important epigenetic mechanism exerting control on gene expression . folate deficiency result in global DNA hypomethylation . to some therapeutic ideas for glaucoma. methylation cycle and glutathione deficiency were found to be linked. restored the levels of reduced and oxidized glutathione . will no longer be pathological. impaired methylation in the one carbon metabolism pathways. that oxidative stress had a pathogenic role in primary open-angle glaucoma. humour in subjects with and without primary open-angle glaucoma (POAG). added to that of others, suggest that the pathology is selenium-related. Authors: Bruhn RL1, Stamer WD, Herrygers LA, Levine JM, Noecker RJ. with glaucoma, could contribute to the generation of oxidative damage. non-enzymatic antioxidants levels were measured spectrophotometrically. to cataract patients (p < 0.001). Authors: Goyal A1, Srivastava A, Sihota R, Kaur J.
the selenoenzyme glutathione peroxidase at 0.2-nm resolution*". Eur. J.
selenium's mechanisms of action as an anti-angiogenic agent. Exp Eye Res. 2006 Apr;82(4):637-47. Epub 2005 Nov 10. Authors: Conley SM1, McKay BS, Gandolfi AJ, Stamer WD. dimethylhydrazine (DMH, 25 mg/kg) and 4 rats/diet were administered saline. of folate deficiency) to glutathione. Authors: Davis CD1, Uthus EO. reviewed, with a particular emphasis on colorectal neoplasia. increasingly widespread policy of folate supplementation of food staples. J Lab Clin Med. 2001 Sep;138(3):164-76.
pathogenesis of colorectal cancer. J. Lab. Clin. Med. 138:164-176.
synthetase activity, cysteine availability, and GSH feedback inhibition. Authors: Wu G1, Fang YZ, Yang S, Lupton JR, Turner ND. circulating glutathione levels was also analyzed. 0.05, F = 0.30, respectively). suggesting a general compromise of the antioxidative defense. Invest Ophthalmol Vis Sci. 2005 Mar;46(3):877-83. Authors: Gherghel D1, Griffiths HR, Hilton EJ, Cunliffe IA, Hosking SL. and to correlate their concentrations with severity of glaucoma. A prospective cases control study. humor were analyzed for CAT, GPO, SOD, and MDA status. CAT enzyme in aqueous humor of POAG and cataract patient (P = 0.201). visual field loss (P < 0.001) in POAG patients. humor of POAG patients as a result of glaucoma disease and not a cause. Curr Eye Res. 2010 Apr;35(4):295-301. doi: 10.3109/02713680903548970. Authors: Ghanem AA1, Arafa LF, El-Baz A.
superoxide dismutase (SOD), catalase, and glutathione peroxidase. glaucoma and 24 cataract patients; TRAP was measured by chemiluminescence. Activities of the antioxidant enzymes were measured spectrophotometrically. phosphate oxidation at 340 nm. Am J Ophthalmol. 2004 Jan;137(1):62-9. Authors: Ferreira SM1, Lerner SF, Brunzini R, Evelson PA, Llesuy SF. results (other papers, e.g., 15). But it agrees with . 64%, in glaucoma patients . No surprise. Exp Mol Pathol. 2011 Apr;90(2):231-7. doi: 10.1016/j.yexmp.2011.01.001. Kurowska AK, Kaminska A, Szaflik J, Szaflik JP. important regulators of oxygen reactions occurring in their surroundings. assess the degree of oxidative stress "in vivo". pathways have not been evaluated in persons with autism. pathways in children diagnosed with autism. effective in normalizing the metabolic imbalance in the autistic children. paradoxically pathological role of selenium in glaucoma. Copyright (2015) David Shields. All rights reserved.